I'd never stopped to consider the Australian city "template" before but now see that it is just that. I've only been to Perth a couple of times but remember it chiefly for its vivid whiteness... whereas Sydney has that dirty sandstone colour, Melbourne is all blue-grey, and Brisbane is infused with a golden beeryness. I love the idea that Australian cities are so similar that their differences can be reduced to colors, like different paint jobs on the same pre-fab house. Of course, there is more than that, but the sources of difference seem to be mostly geography and age, not culture. I don't think I've ever heard a North American try to sort cities purely by color, but Australians, having less color in nature, may naturally be more attuned to it. Last month I flew across Australia to a conference in Perth, and after three days in conference rooms got down to Fremantle -- the furthest west I have ever been -- to see the Indian Ocean for the first time. It looks like an ocean. Salt-air. Infinity. Gulls. My camera batteries expired at the sight, but you've seen photos of the ocean. It looks just like that. Only the color of the rocks on the beach (creamy beige, not orange as in Sydney) announced that this was another shore. Later, batteries found, I took the parting shot above, more for the crustacean Western Australian Martime Museum on the left, a credible echo of the Sydney Opera House. 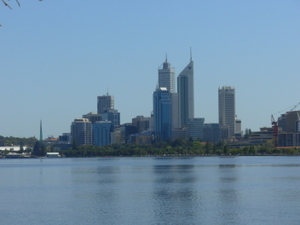 Perth is a recent city, mostly grown in the last few decades on the white-hot boom of natural resource extraction for hungry Asian tigers. A CBD, located on a river or inlet a few km from the open sea, spiked with thin towers, each marked on top as the phallus of a particular resource extractor or bank. One or more dense beachfront communities, on the ocean nearby. Pedestrianized streets in the CBD. Many pedestrian-friendly business districts, even in some low-density areas. A major park with meticulously labeled botanical garden. A generous range of citywide parks, often including continuous parklands along waterways. Many distinct communities, most with their own pedestrian-scale shopping area. The state parliament and ministries, mostly quite concentrated in the core. Ho hum, an Australian would say, but it is an excellent model. The uniformity of this model -- the sense in which it forms the unconsciously reproduced DNA of an Australian capital -- explains why so many of these cities rise to the heights of worldwide livable-cities lists, alongside the best cities of Canada and Alpine Europe. 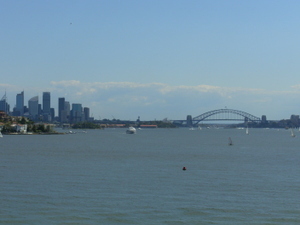 It is not a unique model or even an Australian one – much derives from British utopian urbanisms of the late 19th Century – but only Australians have had both the loyalty and the space to reproduce it, yielding five major cities, and many smaller ones, with all of the features above. Of all the capitals I’ve visited, Perth seems the most reducible to the formula. I looked in vain for anything that would distinguish it, something like the distinctive tropical Victorian architecture of old Brisbane, or the rectilinear town plan of Adelaide, or the maritime grittiness of Hobart. The cream-colored rocks on the beach were finally the best assurance that I was specifically in Perth, rather than in the Platonic Form called Australian Capital. This is not to criticize Perth, of course; like Vancouver it suffers from the lack of history, but the comparison with Vancouver suggests how much a city needs neighbors in order to find itself. Vancouver is blessed with membership in two very intimate urban clubs. 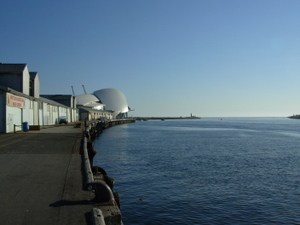 It's a Canadian city, which sets it alongside Toronto and Montréal in a country that values cities and sees them as important expressions of the national project. But it's also a west coast city, a natural peer of Seattle, Portland, and San Francisco, and these neighbors sharing a similar geography have been able to share more intimate secrets and develop more nuanced rivaries. Perth is so lonely that it must rely on its small, well-travelled elite to build its identity. The result is a less self-reflective city, but without doubt an intensely serene and happy one. Life is good. More soon.